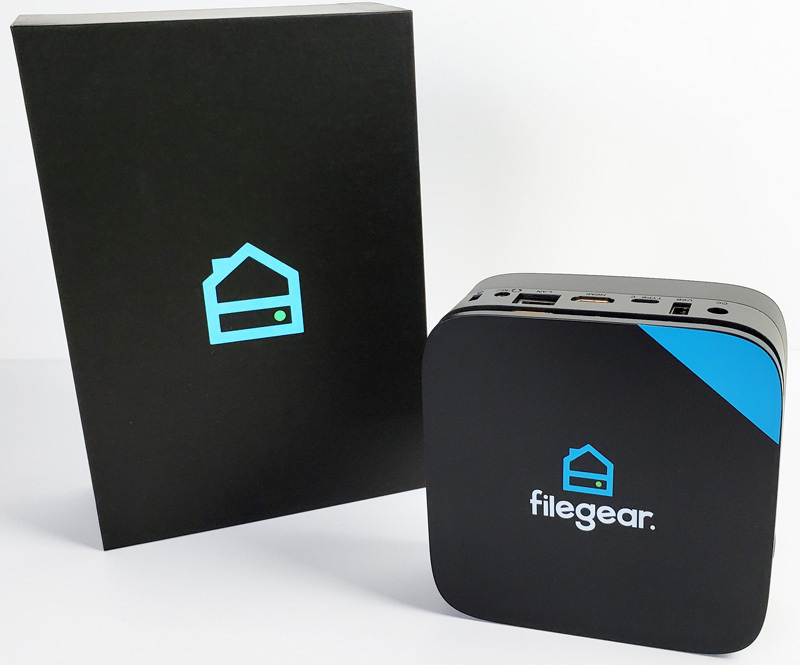 Today we have an interesting product in the Lab to check out, a Filegear One Plus personal cloud device. Filegear started as a Kickstarter created by Doug Walter and made its first showing at CES 2018. 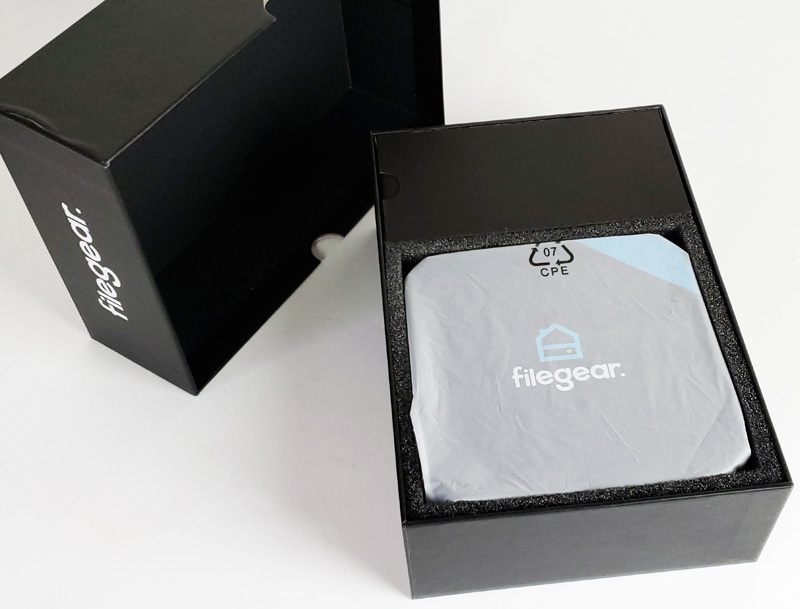 Filegear’s hook is ditching your online personal cloud services that have a monthly fee, expose your files to terms of service that can change at any time. This can be a particular saver for SMB installations with limited WAN connectivity. Enter Filegear which gives you full control of your data, pictures, music, movies, and creates backups by file duplication across drives you have attached to the unit. Many of our readers here at STH have created personal and SMB clouds with systems they have running in their home labs, and some use NAS units like Synology or QNAP for this task. 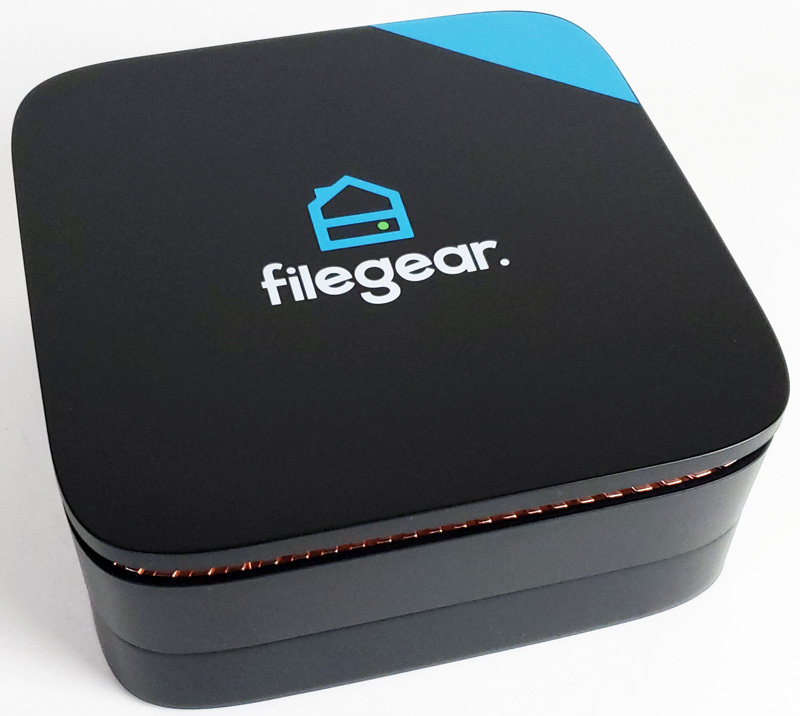 Filegear is a simple, elegant solution that does all that compared to much higher priced NAS boxes. 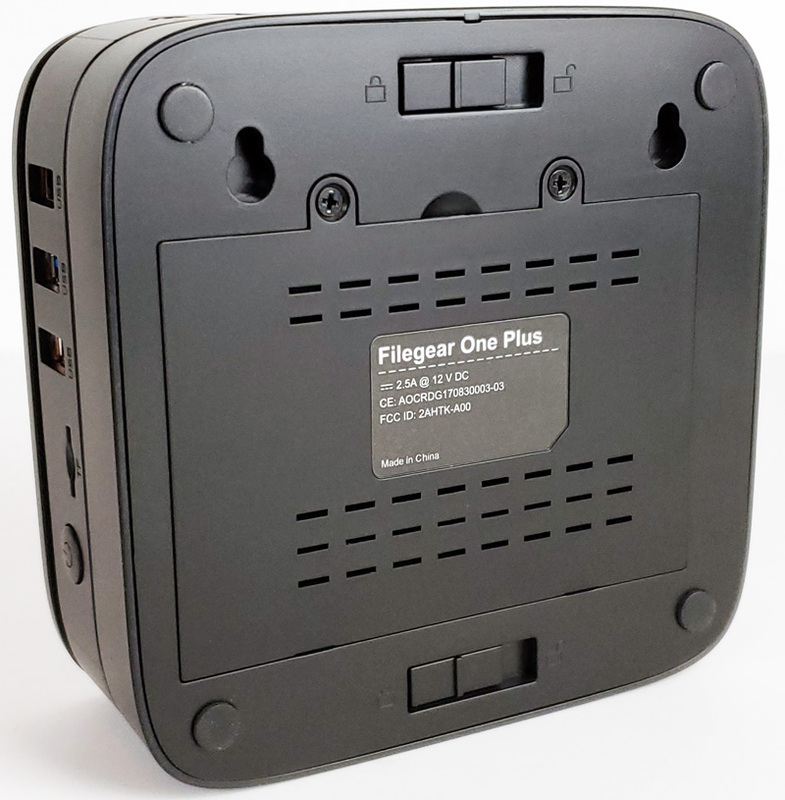 Packaging for the Filegear One Plus unit is simple, with no real markings on the retail box aside from the Filegear Logo. Opening the box we see the One Plus unit protected by foam around the edges and wrapped in a protective cover. With the One Plus on our table we see it’s size is 5” x 5” x 2” with the drive bay attached to the bottom of the unit. There is a gap that goes around the entire unit for ventilation. This area also has a blue LED effect that softly lights up this ring when in operation. On the right side of the One Plus, we see 2x USB 3.0 and a single USB 2.0 port. Next are a Micro SD Card port and a power button. At the top we see an additional USB 2.0 port, a Type-C port, HDMI (not currently active), LAN, and a headphone jack round out the remainder of IO ports. Here we see the bottom of the Filegear box, two locking access tabs allow the removal of the storage bay and the access cover for installing your drive of choice. 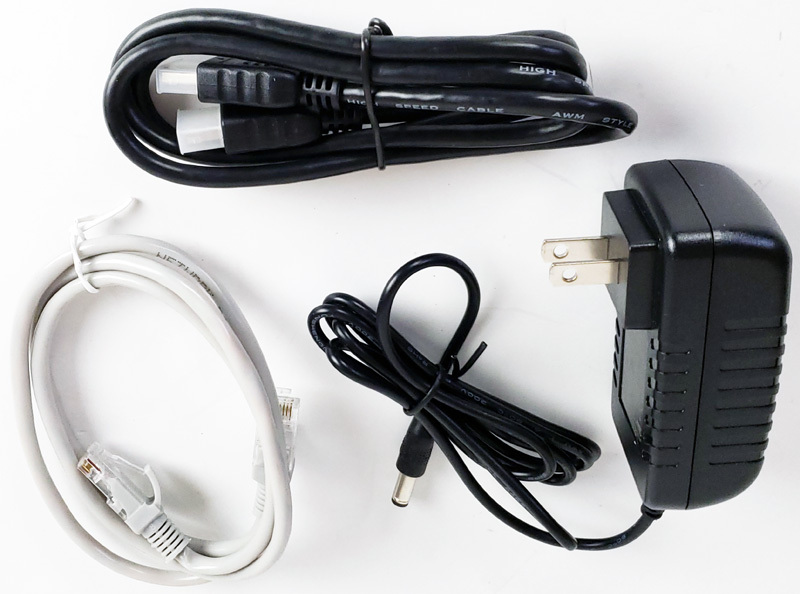 Accessories include a LAN cable, HDMI cable and a small power brick. 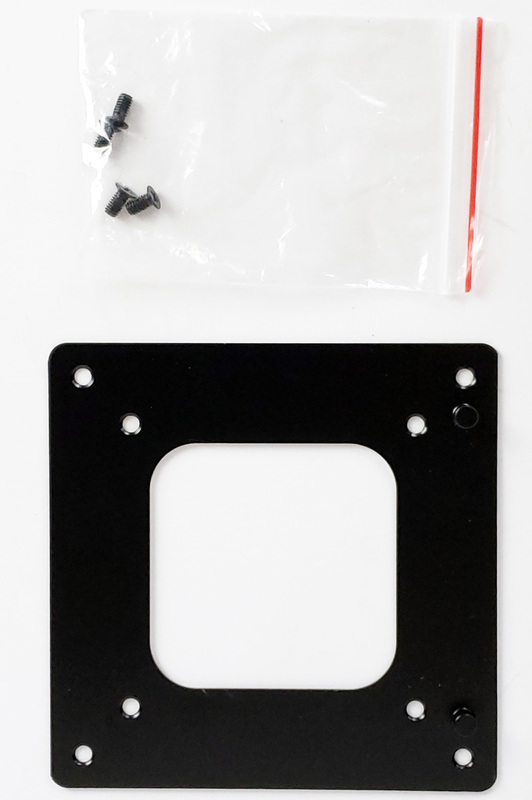 Included with the retail kit is a VESA Wall Mount hardware that allows you to attach the Filegear One Plus to a wall or back of your monitor. Let us move on to the hardware internals and then getting our Filegear One Plus ready for use. Other than the logos, that looks just like the HP Elite Slice. @Shaun That’s a pretty uncanny resemblance. Bets on whether its a custom skin on A) an actual HP unit or B) the same thing from HP’s chinese ODM? Plus the specific custom software which is the real reason we’re all here. Besides… HP touts 6th gen processors and I’m not sure what the processors used here qualify as. Maybe they’re using an older gen? It’s likely an AcePC AK series, which are HP Elite Slice knockoffs. This is indeed a AcePC AK1. Is Servethehome now a pay-to-play review site? I find it hard to imagine how this thing got a 9.3. 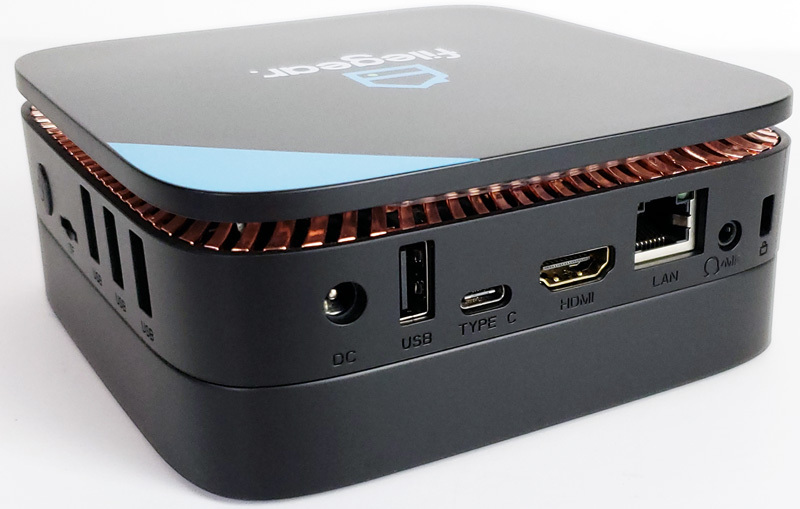 Considering the USB3 connection that connects the “internal” drive will bottleneck the performance, I think we can surmise how serious this company is with data storage. The DS119J is $110. The AK1 is $160. 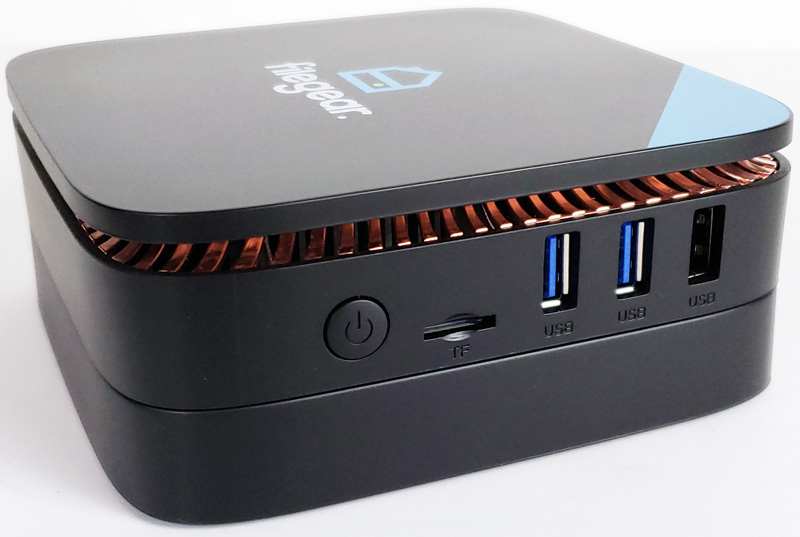 The NUC Kit NUC7PJYH is $170. No informed consumer would spend $250 on this. Who writes this stuff? I am convinced this was a sponsored posting. Personally, I am using OwnCloud running on a VM. Single core with SMT, 2GB of RAM, 1TB of total storage (For OS, Owncloud and any other files I add). It’s running off of a LAMP stack, Ubuntu 18.04. I highly suggest anyone looking for a fun project to do owncloud if you have a separate machine able to do this. I love the features of OwnCloud, and the desktop sync app is pretty cool too, as you can sync up multiple accounts and folders on your PC to OwnCloud. I’d personally invest in an OwnCloud machine before this box. Nick – we do not do sponsored posts. The Synology comparison is valid, however, I take issue with comparing pricing of hardware to a product with a hardware and software bundle. There is a fairly large market segment that wants a solution that works out of the box. Remember, Dell Technologies is larger than Supermicro by several times because solutions sell better than roll-your-own. Patrick – My comment was a little bombastic and I don’t think you guys actually write sponsored reviews, but this one read like it. Probably my criticism is rooted in the fact that this is one of the few sites that give solid, technical reviews without a bunch of clickbait and fluff posts. I realize that built into this pricing is the software, but the $100 synology comes with the same OS as the $1000 disktation, and from what I can tell has the same features. Would have been nice to see how the software compared to the offerings considering it loses in the hardware category.